Join Chance the Rapper, Jason Mraz, Smokey Robinson, O.A.R. 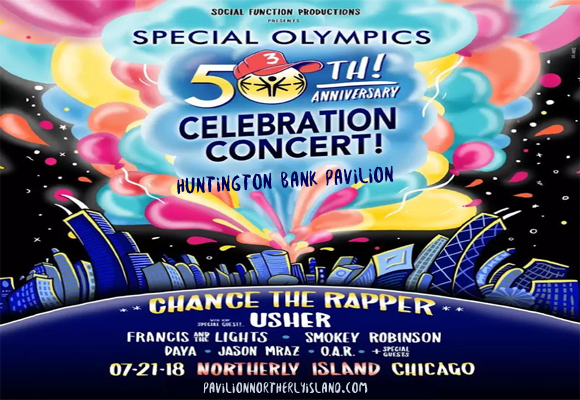 and many more as the Special Olympics 50th Anniversary Concert comes to Huntington Bank Pavilion at Northerly Island on Saturday 21st July 2018! This star-studded event celebrates the golden jubilee of the Special Olympics: the world's largest sports organization for children and adults with intellectual disabilities! Tickets available now!